Made from premium cowhide leather in house. Hand dyed, distressed, oiled and finished. 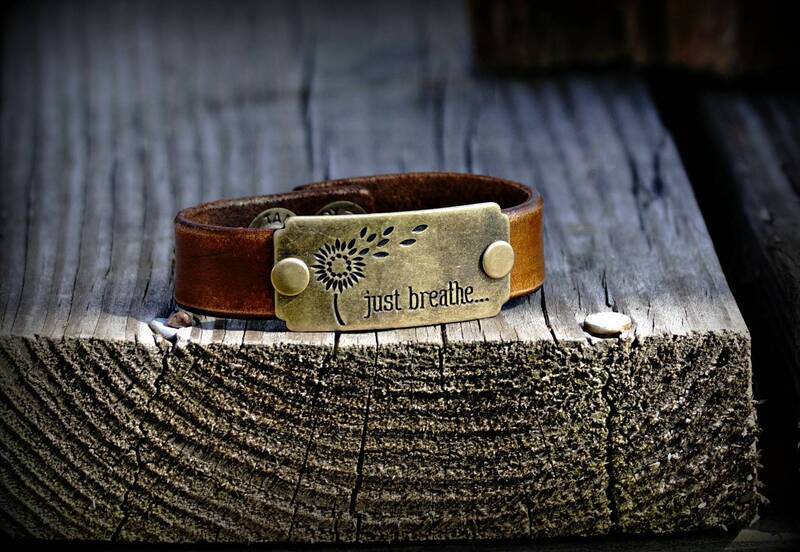 Comes with the vintage brass, "Just Breathe " charm riveted onto our handmade leather.